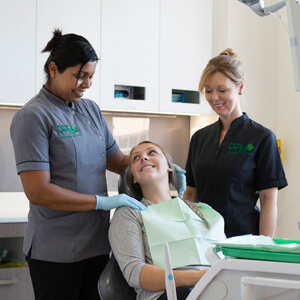 Looking For An Affordable, Quality Dentist Near Beaconsfield? At Officer Dental Care, we offer comprehensive services from all fields of dentistry to help you and your family maintain optimal oral health. Our professional and experienced team offer high-quality, friendly, and gentle care for patients of all ages. From general dentistry to more complex surgery, we offer a wide range of comprehensive treatments for you and your family. Take advantage of our new patient special offer. Call 03 5925 7850 today! Call 03 5925 7850 today! We go above and beyond to ensure our reputable dental services are available to everyone and do so by offering emergency dental appointments and payment plans when necessary. We’re also a preferred provider for health funds including nib, HCF, and CBHS. Additionally, if your child is aged between 2 and 17 years, they may be eligible for the Child Dental Benefits Schedule. Please contact us for more information regarding this benefit. Let us help you get your perfect smile. Call 03 5925 7850 today!